The Irish-based outfit, who manage over 20 Irish fighters, have teamed up with Ken Casey’s well-connected Murphys Boxing. IRISH-BASED BOXING management company Assassin Boxing have announced a partnership with American promoters Murphys Boxing in what’s a significant move for the professional sport in Ireland. Assassin currently look after over 20 Irish boxers including Mayo’s former European gold medalist Ray Moylette and Ireland’s youngest professional boxer, James Power from Cork. New partners Murphys Boxing have made a sizeable impact on America’s East Coast boxing scene since their inception in 2014. 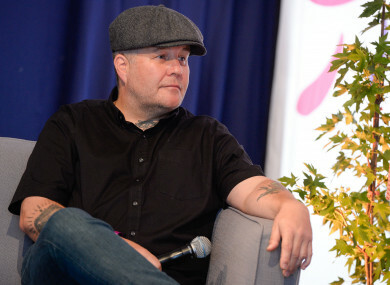 Founded by Ken Casey, the lead singer of Celtic punk band Dropkick Murphys (Shipping Up to Boston, The Boys Are Back), the Massachusetts-based firm have interwoven themselves into the fabric of boxing on these shores. They currently boast among their promotional ranks the aforementioned Moylette, Gorey heavyweight Niall Kennedy, and Cork middleweight Spike O’Sullivan. Murphys have established fruitful relationships with some of America’s major boxing players, regularly working with Oscar De La Hoya’s Golden Boy — with whom they co-promote Spike O’Sullivan — as well as Premier Boxing Champions and Lou DiBella. They have more recently teamed up with Eddie Hearn’s Matchroom to co-promote the undercard of Billy Joe Saunders’ world title defence against local contender Demterius Andrade at TD Garden — the home of the Boston Celtics and Bruins — on 20 October. Irish boxing fans have a vested interest in that card with both Katie Taylor and James Tennyson in action in world title fights before the Saunders-Andrade main event, and Murphys Boxing’s own Niall Kennedy also involved in a heavyweight scrap. The idea behind the joint venture is to create a transatlantic pathway for burgeoning Irish talent, wherein fighters can forge careers on either side of the pond. Assassin-managed boxers will be able to fight at home as well as in the States under the Murphys promotional banner, where the latter’s plethora of connections could conceivably open doors for many of Ireland’s pugilistic prospects like never before. Assassin Boxing are running their own show at the National Basketball Arena in Tallaght on 6 October. Email “Assassin Boxing to join forces with U.S. promoters in significant move for pro boxing in Ireland”. Feedback on “Assassin Boxing to join forces with U.S. promoters in significant move for pro boxing in Ireland”.